New digital technologies are changing the retail space and encouraging customers to purchase in-store. 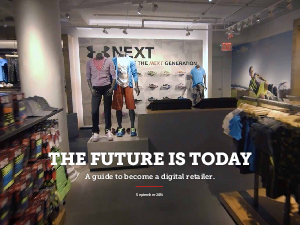 As a retailer, you can adopt digital technology into your store to avoid getting left behind. This new guide from Adobe outlines six strategies to deliver engaging customer experiences, both digital and physical, in every step of the customer journey.